Desperately Seeking Adventure: May 2017: My Tibetan Adventure! With two extra days of holiday to take before my contract expired during my Wuhan teaching days I sought the opportunity to plan my Tibetan adventure. Taking may twists and turns, mind that was before I even got to Lhasa. Tibet isn't an easy place to visit if you're not Chinese! The Potala Palace stood right in-front of me, those breathtaking moments were happening for real! With two extra days added to the end of my Labour Day holiday for My 2017 I took the plunge, choosing to experience Lhasa, Tibet within China's Tibet Autonomous Region. The booking process had been something else, permits had to be secured and I almost had to cancel due to a mess up with my outbound train ticket! Flying from Wuhan to Lanzhou after work on the eve of 2017s Labor Day holiday weekend I had a huge journey to reach Lhasa. After a brief sleep in my Lanzhou hotel it was time to collect my sleeper train ticket and have my Tibet Travel Permit at the ready, I had to have that document checked several times that day. My pit stop stay in Lanzhou allowed me to see a snapshot of China's Islamic Northwest, something and somewhere I knew I would be revisiting in that moment! To my horror I had been allocated a top bunk within the hard sleeper carriage, it was bearable, I snapped out of that! 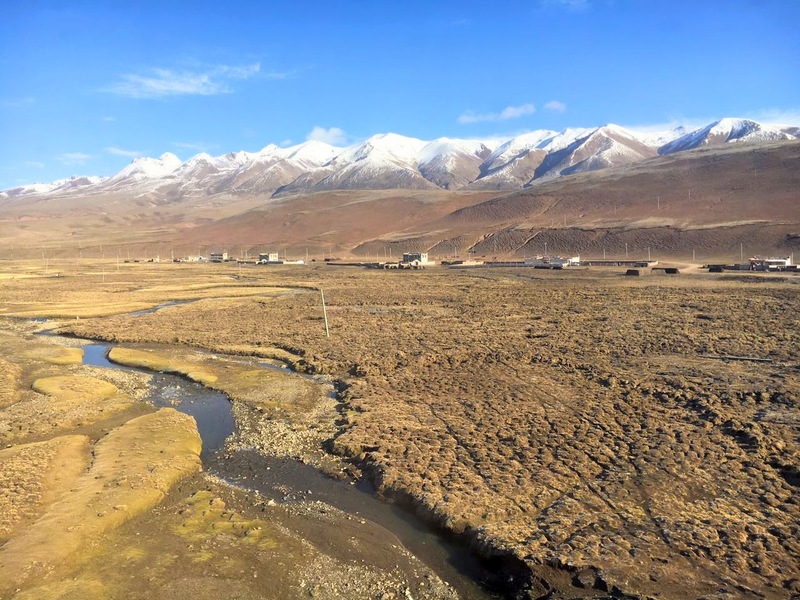 The views as my Lhasa bound train left Lanzhou gave me life, Xining approached with its mosques and islamic charm, another place that I added to my China travel odyssey! The journey was quite smooth, relaxing into the journey I found the landscape become more and more sparse, the cities of Qinghai Province had disappeared and it was easy to see the Tibetan Plateau was in our sights. From the corner of my view from a carriage door I began to see herds of Yaks, those woolly looking cows roamed the Plateau with such effortlessness, in that moment I managed to catch a glimpse of the Qinghai Lake, it was huge! Darkness covered the Plateau like a blackout blind, bright and early the next day I climbed down from my bunk to be fronted with the rolling beauty of Tibet, the remote homesteads looked amazing, it was a moment that I won't ever forget! The views grew more and more peaceful, the photos that I caught will forever be timeless to me! Was I really going to Lhasa, Tibet? Oh, yes! Tea houses and Lhasa's old city had my attention for the rest of my first day, checking into the hotel after my night train had to be done, I need to refresh my life! In Tibet and it felt amazing, slaying my travel dreams I made my way to a tea house down an alleyway, the yak butter milk tea and Indian style potatoes added to my first experiences of Tibetan life in modern day Lhasa! Fast forward to the next morning it was time to meet my tour group and get on with the itinerary. Dreprung Monastery was our first stop, the history fails me but that hilltop place of worship impressed me with its many chambers that were full of rich coloured Buddhist figures and holy scriptures. The scenery was amazing, with the different buildings the whole area around Dreprung Monastery looked like it could have gone on forever and a day! The temperature didn't feel too cold but the air was thin, breathing fresh air was a blessing but at altitude! Help! The first day was mainly about monasteries, nonetheless it was a joy to experience whatever the itinerary consisted of. 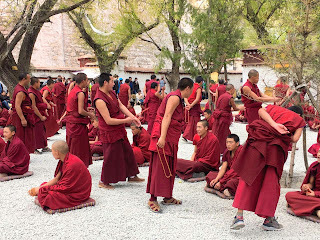 Moving onto Sera Monastery gave us the chance to see the monks debate in the open, it was made because photos were allowed to be taken but I wanted to witness that event through my own eyes not the lens of a camera! The more experienced monks listened to the younger ones who were in training, they dismissed or accepted the ideas spoken by the lesser experienced monk with much gusto! Having lots of free time allowed me to see pockets of the old city with ease after the days itinerary had concluded. The first day of seeing the monasteries around Lhasa ended with a dinner provided by the tour company, it was an interesting evening but all in all a good day was had by all in the group. The first 48 hours of the trip till had been amazing if not surreal! The thought of returning to Wuhan filled me with dread because the air was so pure in Tibet! Being 4,000ft above sea level meant the altitude hit me hard, not having the best sleep the previous night I wasn't feeling so good. To my surprise I had a nosebleed and I don't think I'd ever had one before in my life! Going to the doctors office in the hotel reception I bought a can of oxygen and was given a handful of strange unmarked tablets to take throughout that day. Pressing forwards with my tablets and oxygen in tow, it was time to experience Barkhor Street and Jokhang Temple. Hundreds of pilgrims descended upon Barkhor Street, the whole atmosphere of that street gave me so much life with the strong scent of incense burning in the air and the colourful Tibetan styles being served played the right contrast with the white washed buildings, mostly shops selling incense sticks and Tibetan crafts, I kept my money in my bag, things looked amazing! Camera snapping, how I wanted to grab the one! Johkang Temple had a sea of pilgrims praying outside its entrance, it was a crazy yet peaceful sight to witness. Stepping into the temple it was like an assault on the senses, those indigo blue Buddhist figures stared us out, even thought they were soulless their piercing eyes penetrated our souls with their harsh cutting glares! Like the other Lhasa places of worship the tour had taken me to, Jokhang Temple's interior showed us a lot about the Dalai Lama's and the rest of Tibet's complex history. I learnt about Princess Wencheng, a trailblazer of her day as a Han Chinese woman she got married to a Tibetan king, eloping to Tibet she became something of a runaway princess! Leaving a donation because it felt right, I left a fifty yuan note as it displays Lhasa's Potala Palace. Going onto the roof at Johkang Temple I was afforded a Birdseye view of Lhasa's old city with a prime panorama of the Potala Palace. Johkang Temple and Barkhor Street an extraordinary morning to say the very least! Yes! Concluding my Tibet experience it was time to visit the place on the tours itinerary, of course it had to be the magnificent Potala Palace! Queuing up like respectable human beings we climbed our way to the highest entrance point, the lack of oxygen made me feel really sick and my acute fear of heights didn't help me either but the view from those points were unforgettably beautiful! Climbing through the door to the palace quarters it was a relief to have made it to the furthest point, the opulence of the palaces chambers impressed me much and then some! I looked around with a definite feeling that I could live within that luxurious setting, even the monks had iPhones so I would still be able to live in the 21st Century! The history of the place has unfortunately left my mind but the memories of the grand interior and exterior will forever be etched in my memory forever! 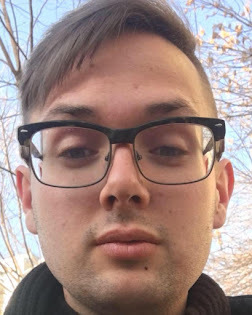 No questions about that runaway Dalai! Saying goodbye to the rest of the tour group, I had to head back to Wuhan for work but the others carried on further to Everest Base Camp. The whole experience of the tour had been amazing, the tour was long but such an adventure from my Lanzhou flight to my first overnight train in the cheapest bunks I was fine! Experiencing the culture and flavours of Old Lhasa was amazing, the food was good and I spent a tonne of money on traditional Tibetan incense sticks that I still haven't burnt fully, yes I bought at least one hundred pounds worth! Sera and Dreprung were chilled yet beautifully designed with a myriad of twists of turns, those monasteries were more like labyrinths full of wonder. Barkhor Street was a pilgrims paradise, all looking towards Jokhang to answer their prayers I was inspired. Flying back to Wuhan via Chengdu, that inbound flight threw up a whole lot of drama but my once in a lifetime Tibetan trip was blessed! Wuhan welcome me back with the same old noise!